Century Golem Edition is one of those games we enjoy every time we play it! The art just simply makes us very happy and the game is a nice little puzzle in which players try to build an efficient gem economy. We’ve only played it with two players and I’m curious how it plays with three or four people. Thank you again Fred for gifting us this game! Last week was crazy and both of us have been working non-stop on deadlines, so we actually played zero games. None! That’s quite rare for us. We’re flying to the UGKE on Thursday and we’ll only play a game of Pandemic Legacy before that, luckily we’ll probably play a ton of games in Birmingham next weekend! We’re bringing a limited edition Apollo sticker for everyone that comes and says hi! So don’t be shy we love to talk to as many people as possible! After UKGE hopefully, things will slow down a bit but it seems we’ll be busy until summer, so we might need an assistant golem, or a dishwasher golem or maybe a board game golem that makes sure we keep playing enough games! 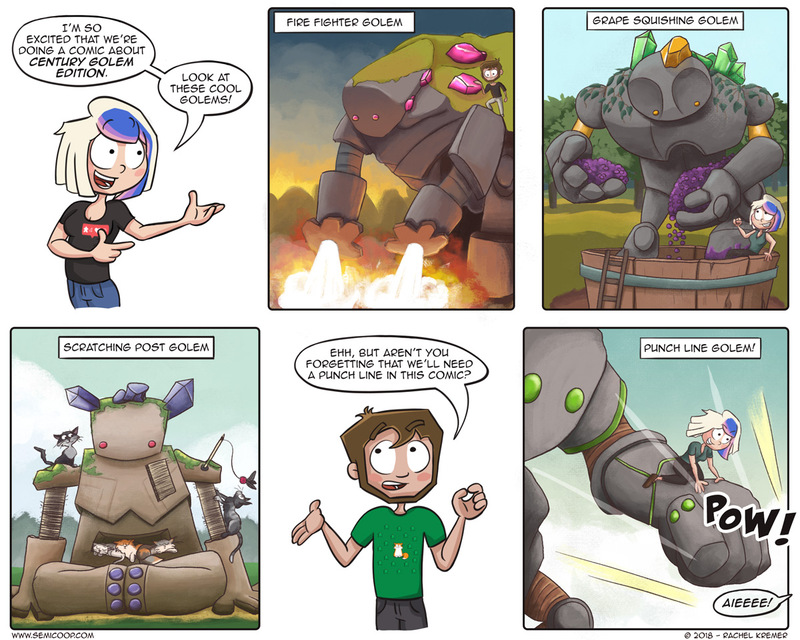 What golem do you need in your life? No problem guys! Glad you like it the art is amazing. In my group we commonly play with 4 and it still plays gear. We also got Steampunk Rally to the Table this weekend and had a blast (Pun Intended). Century Golem is the clearest example I’ve ever had of art making the difference. All my plays of Century Spice Road were dull and I was totally uninterested until someone forced me to play the Golem Edition. Long story short I own it now.